This post is sponsored by Zappos. All ideas and opinions are always my own! Fall has me feeling all kinds of cozy feels lately. I made the summer to autumn transition as quick as I possibly could in pretty much every aspect of life. I’d be lying if I said I didn’t invest in pumpkin spice candles, a buffalo plaid door mat, a buffalo plaid throw pillow, potpourri, and pumpkins as soon as the calendar hit September 22nd. Oh and my summer clothes are already tucked away in storage for warmer days (even though I could probably use them right now in this random 80 degree weather that’s happening in Pittsburgh this week). If you read my last blog post featuring a studded denim jacket, you already know about my love for fall styles. 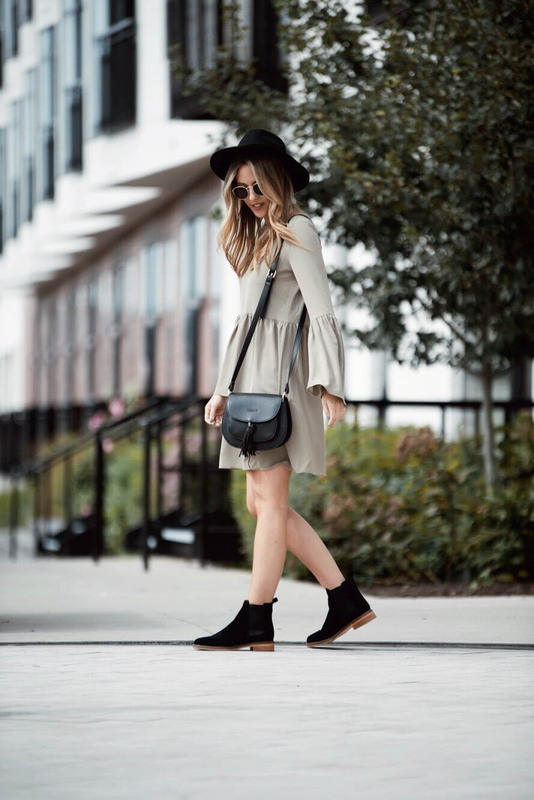 I practically live in ankle booties at this time of the year and lately I’ve been loving my new pair of flat suede Clarks. 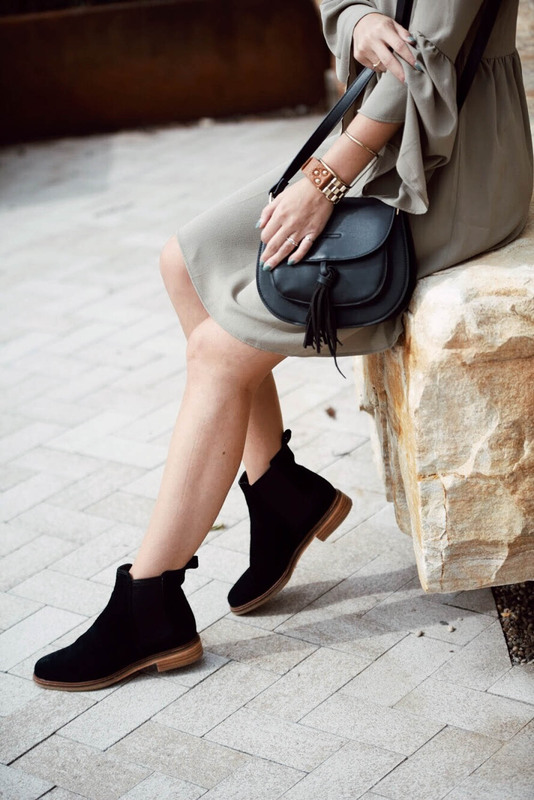 I gravitated toward the classic Chelsea boot because not only are they an easy wear (great to pair them with both jeans and dresses) but the Clarks brand is incredibly comfortable and durable. The Arlo style that I’m wearing comes in 4 different gorgeous colors, making the final order decision extremely tough. I must also mention that I’ve always been a big fan of shopping on Zappos. Did you know that they always have fast, free shipping, a 365 day return policy (score! ), carry tons of styles and brands, and have practically the best customer service in the game? I mean, what more could you really want when you’re shopping online? !